Snowdonia Marathon Oct 25, 2014 | News by Wales Express News, People Before Profit! In the shadow of Mount Snowdon, the highest peak in England and Wales, over 2,000 long distance runners from all over Europe gather to compete in an extraordinary race. 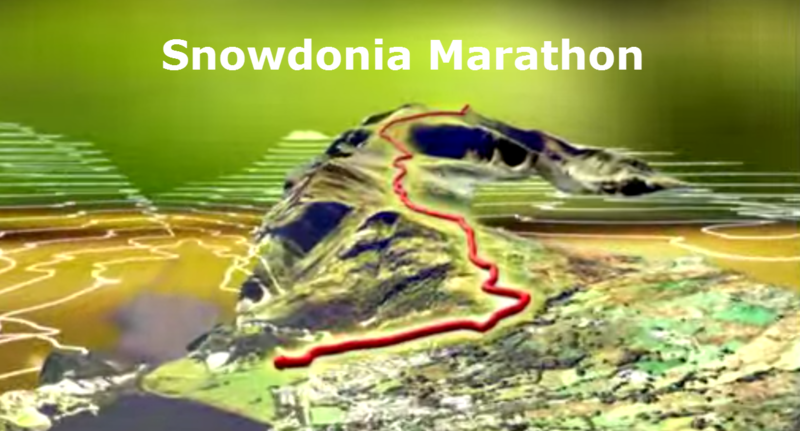 It is known as Britain’s toughest marathon, and this gruelling event is a mixture of lung-busting climbs and steep descents around the base of Mount Snowdon or Y Wyddfa as it’s called in Welsh, all at the mercy of the elements. As the runners line up in the shadow of Dolbadarn Castle, 26 miles of the toughest terrain in the UK awaits them. The first few miles are kind on the runners, before they face the gruelling three mile ascent up to Gorffwysfa, the second highest point in the race at 1,180 feet above sea level. There’s a chance then for the runners to take a bit of a breather as they head down towards Nant Gwynant. The route takes them off the road on to the rough track to Cwm Dyli before they rejoin the road. The tree lined road is relatively flat down to the shore of Llyn Dinas as they approach Beddgelert and the halfway point. As they leave the famous village, the ascent starts again with a steady climb all the way to Rhyd Ddu. From Rhyd Ddu, the runners pass Llyn Cwellyn on their left and make their way towards the village of Waunfawr. They head north and start the vicious two mile climb to Bwlch Y Groes, at 1,244 feet, the highest point in the race. Once more, the Snowdonia Marathon runners leave the tarmac and run on the mountain track high above Llanberis, before hitting the tarmac once again for the steep descent into Llanberis and the finish line.